Praia dos Três Irmãos is one of the most beautiful beaches in the area of Portimão. It is famous for its stunning rock formations and the many hidden caves that can be explored. The sunset from this beach is gorgeous as well. 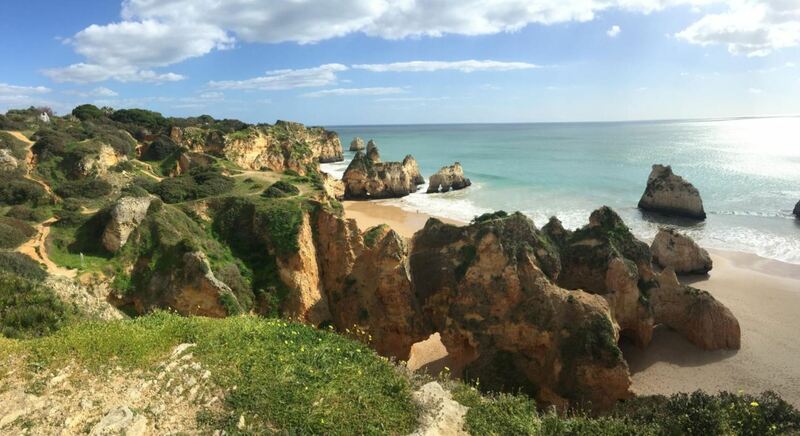 You can find the beach of Praia dos Três Irmãos in Alvor. 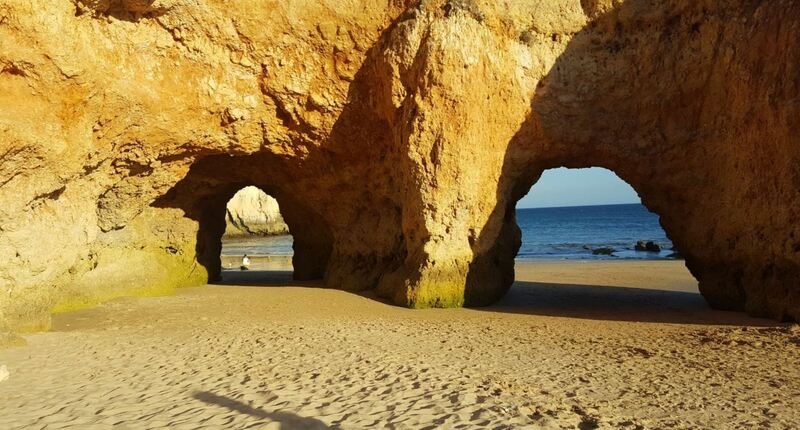 Are you curious to see what Praia dos Três Irmãos looks like? Then wait no longer and watch the short video below. Literally, Praia dos Três Irmãos means beach of the three brothers. This name was given because of the characteristic three rocks on the beach, which are the ‘three brothers’. The beach has beautiful soft sand. It feels amazing to walk here barefoot. The sea water has a great colour and is almost transparent. Praia dos Três Irmãos is a great place for snorkeling. You will be able to see different kinds of small fishes in the water. Beware that the waves on this beach can be a bit rough sometimes. If you are visiting with small children, keep an eye on them. Also watch out for rocks in the water. It can be very easy to hurt yourself against these rocks. It is best to wear water shoes when swimming here. Praia dos Tres Irmãos is usually less crowded than the urban beaches of Portimão. However, in summer the beach can get a bit crowded. Especially during high tide, the beach becomes small and suddenly feels very crowded. If you want to get the most out of this beach, make sure to arrive early in the morning. Praia dos Três Irmãos is quite popular with tourists, as well as with families with children. The beach has several caves and interesting rock formations, where children love to play. These cliffs and rocks on the beach give shelter and shadow, which can be nice when it is really warm. However, always watch out, because there is the danger of rockfall. Don’t stay right underneath the cliffs. Praia dos Tres Irmãos actually consists of several small coves/bays, four in total. During low tide, you can walk from cove to cove. If you do this during high tide, you will get wet. The two coves in the east each have their own restaurant. 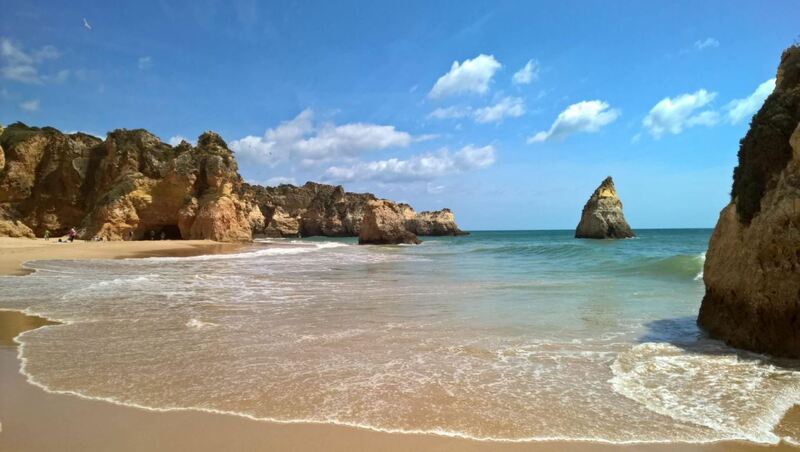 The final cove is named Prainha, which is translated as small beach. Be careful with the tide on Prainha. It is best to visit this part during low tide. The different coves each have small beaches, with beautiful rock formations. You can discover many arches and hidden caves here. 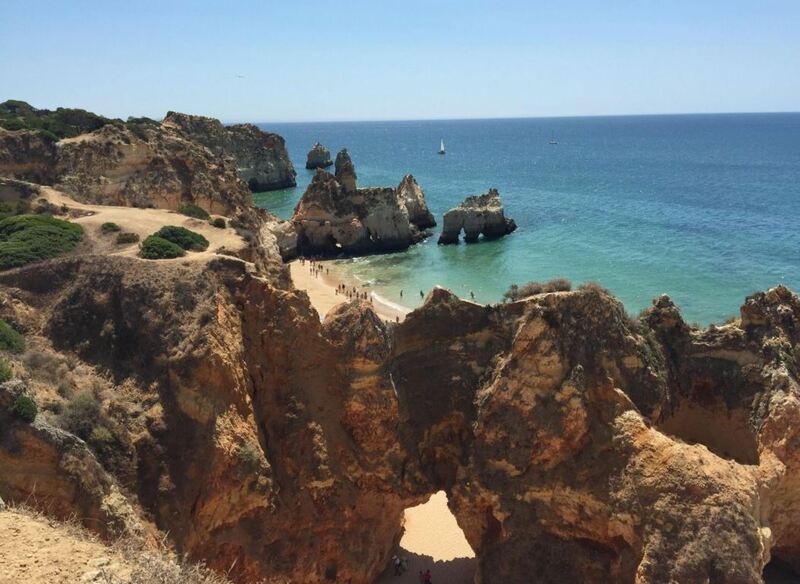 Exploring the coves and Prainha are actually the most fun part of Praia dos Três Irmãos. It feels like you are visiting multiple beaches. You will encounter endless photo opportunities here. 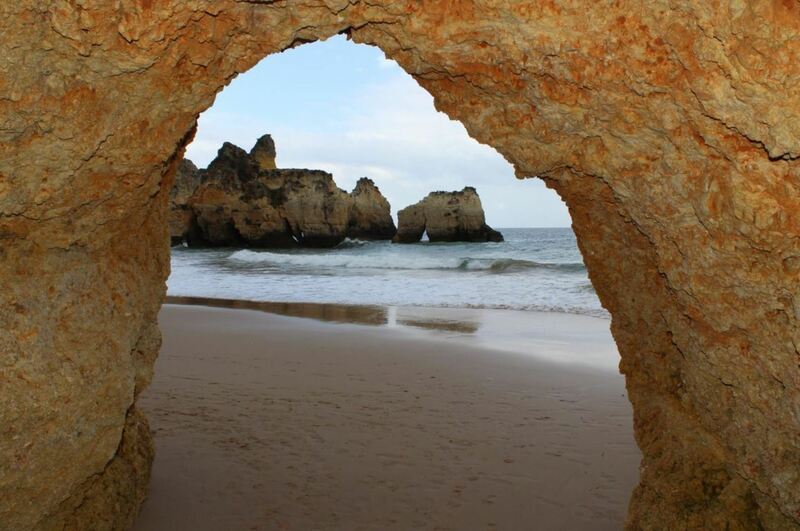 At the end of Prainha beach, there is a double arch. This place is very popular with photographers. The area around Praia dos Três Irmãos is absolutely breathtakingly beautiful. Make sure to walk up on the cliffs around Prainha. This will give you many photo opportuntities as well as stunning views. Watch the following video to see more of the beautiful surroundings of the beach. Praia dos Três Irmãos is one of the two beaches of Alvor. 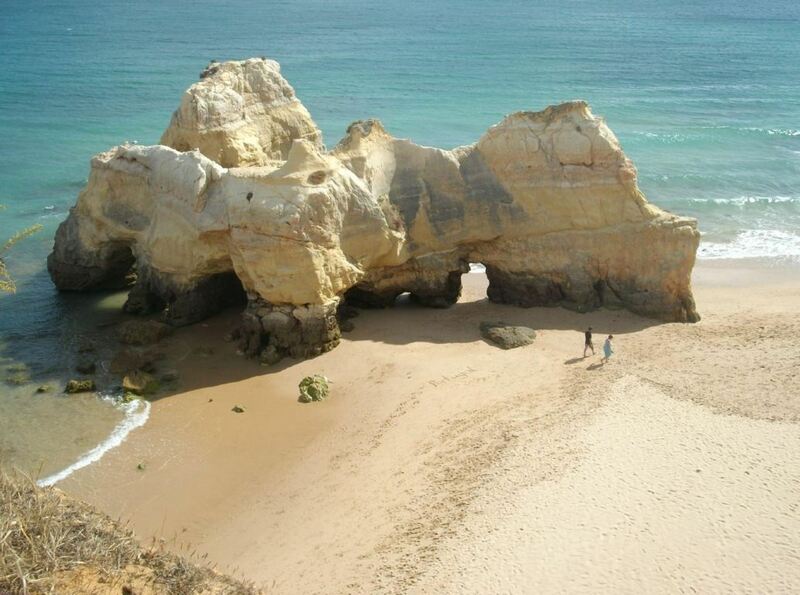 The other beach is Praia de Alvor. 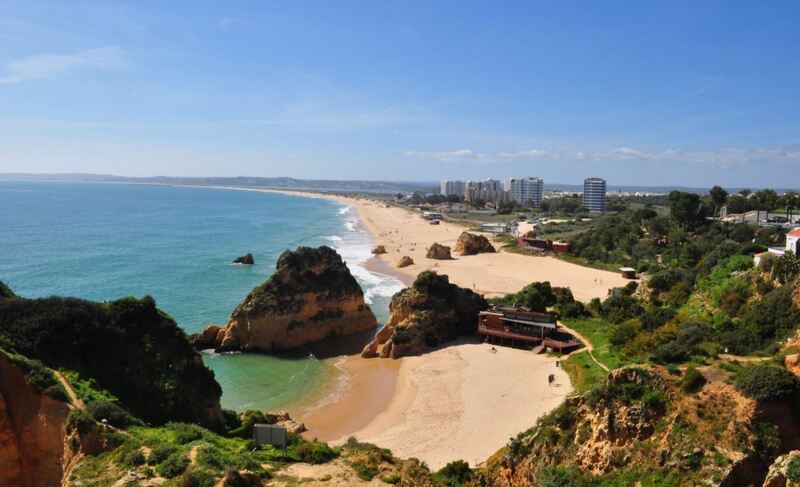 They are located right next to each other, with Praia de Alvor on the west and Praia dos Três Irmãos on the east. The two beaches are quite different from each other. 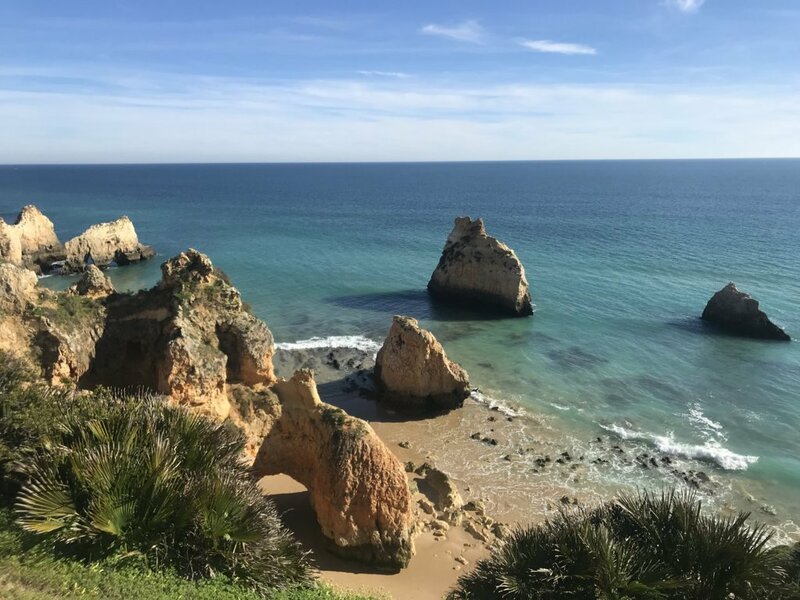 While Praia de Alvor is backed by dunes and is basically one huge open beach, Praia dos Três Irmãos consists of several small bays backed by red-coloured cliffs. 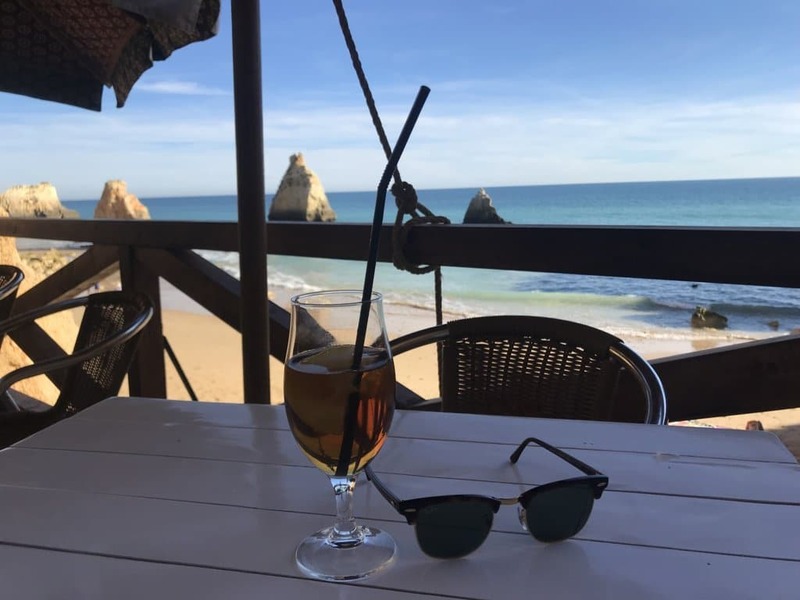 A restaurant at the eastern end of Praia de Alvor serves as the border between these two beaches. 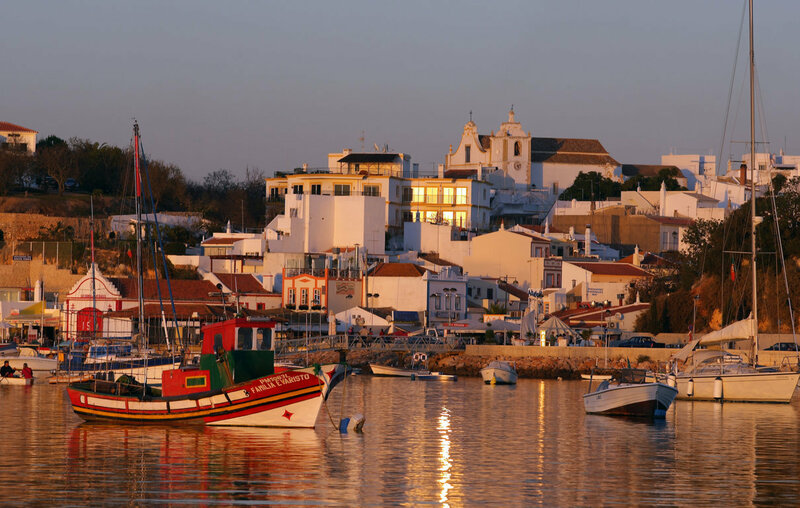 The town of Alvor is a typical small Portuguese fishing village. 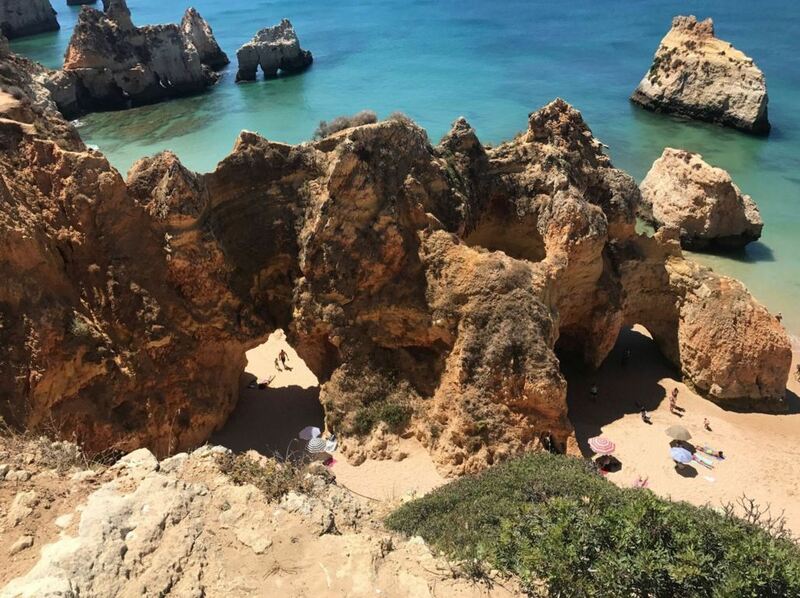 When you visit Praia dos Três Irmãos, make sure you also check out the village of Alvor. The local church and the castle of Alvor are the main highlights of the town. If you walk towards Praia de Alvor, you will see that this part is backed by natural dunes. There is a awesome walking trail here, called the Alvor boardwalk. 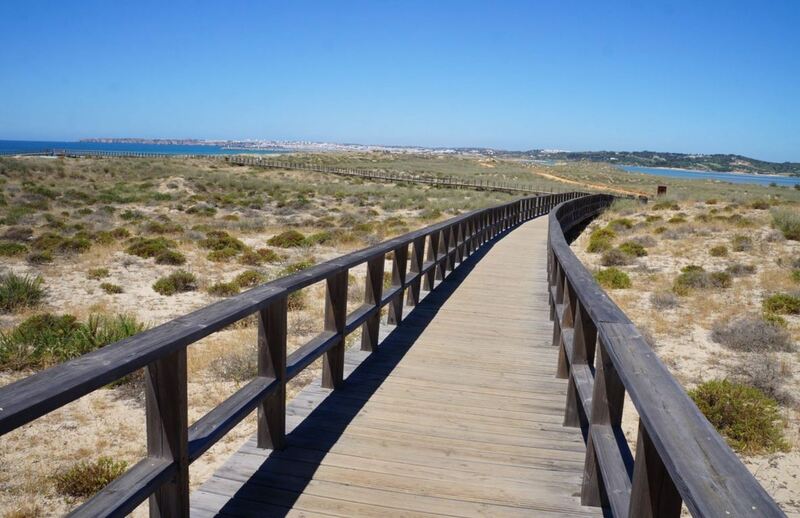 This wooden boardwalk takes you straight through the Ria de Alvor Nature Reserve. It is about 3 kilometres in length. Walking on the Alvor boardwalk can be very peaceful. From here you also have a nice view over the beach and the surroundings. Tropico Beach Bar Restaurante. The restaurant has excellent food and service. Also the cocktails are good here. There is seating inside and outisde. The view from the restaurant is great. Caniço Restaurante. 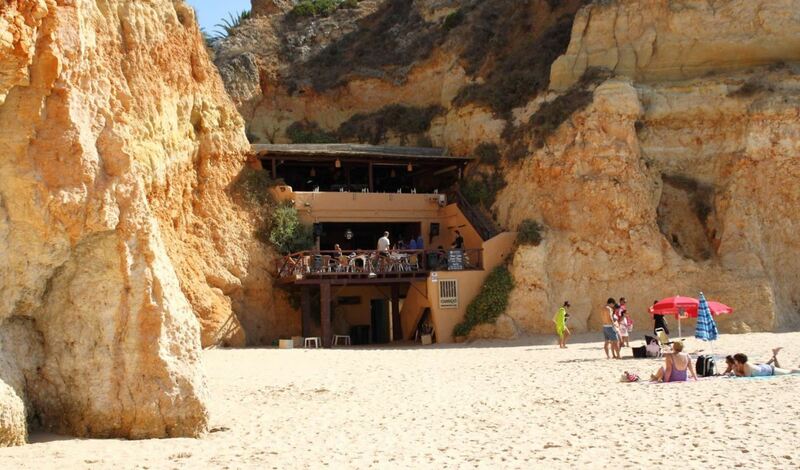 This restaurant is built in the rock formations, right on the beach. It serves Mediterranean and Portuguese food and specializes in fresh fish and shellfish. Also a great location to have a drink. Restaurante Atlantida. This is an amazing seafood restaurant, with good service. Also a great wine list. Pestana Alvor South Beach Premium Suite Hotel. 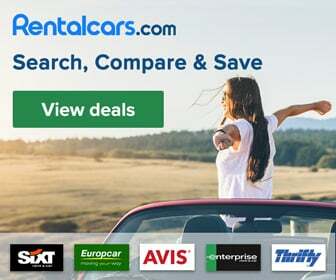 This 4 star hotel is 500 metres from Praia dos Três Irmãos. The hotel has everything you need, including an outdoor swimming pool and a gym. L&A Villa with Private Pool in Prainha. This is the most highly rated villa in the region. It has a private swimming pool, overlooking the Atlantic Ocean. It also has a peaceful green garden. Villa Nautilus Alvor. 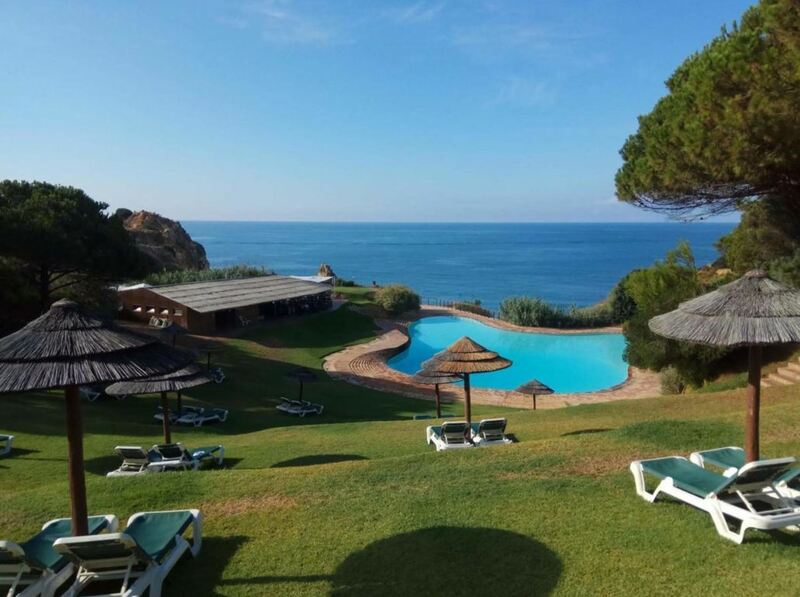 This villa offers rooms with a balcony and a beautiful view over the Atlantic Ocean. Particularly liked by solo travellers. 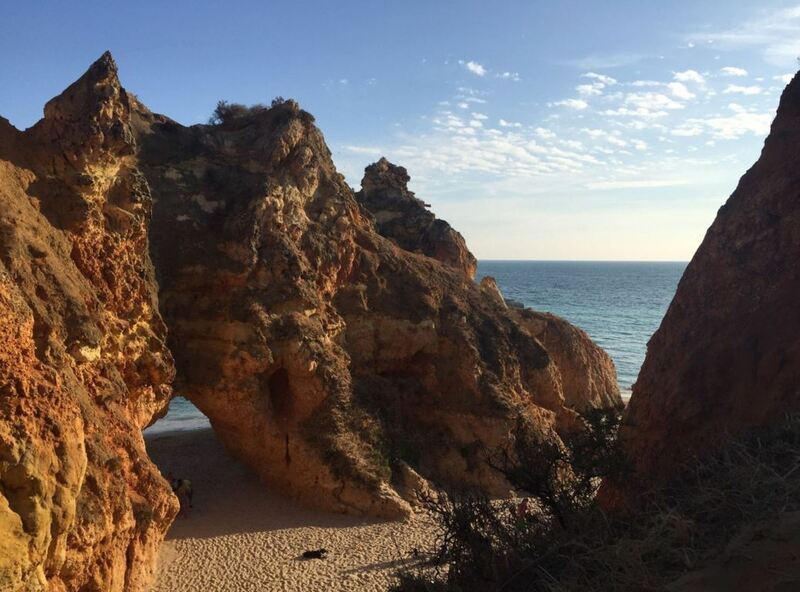 When you are driving on the N125 to Portimão, follow the signs ‘Praias’. On the last roundabout near Praia da Rocha, go left and take the M531 to Alvor. On the next roundabout, turn left in the direction of ‘Prainha’. Alternatively, you can enter the following address in your GPS: Rua Praia dos Três Irmãos, Portimão, Portugal. Near the beach you can park all day for only 2 euros. There is free parking a bit further away. You will have to walk 5-10 minutes to get to Praia dos Três Irmãos. From up on the cliffs, there are stairs down to the beach. Beware that some stairs can be quite steep. 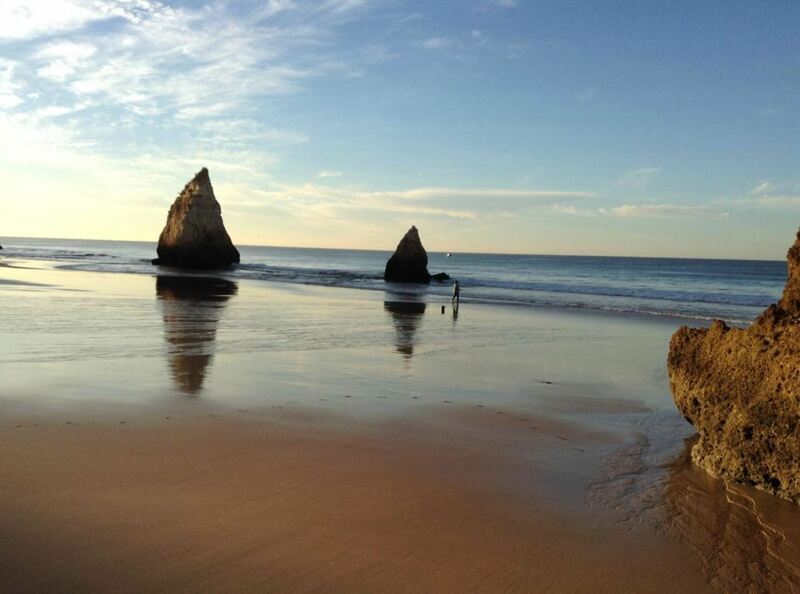 Another option is to go to Praia de Alvor and from there walk towards the Três Irmãos beach. 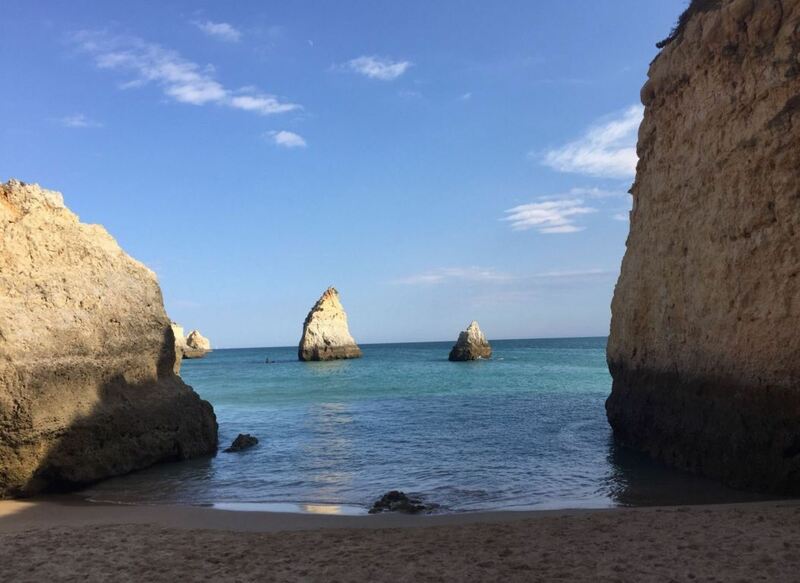 The area around Alvor is lovely, but the Algarve has much more amazing things to offer. 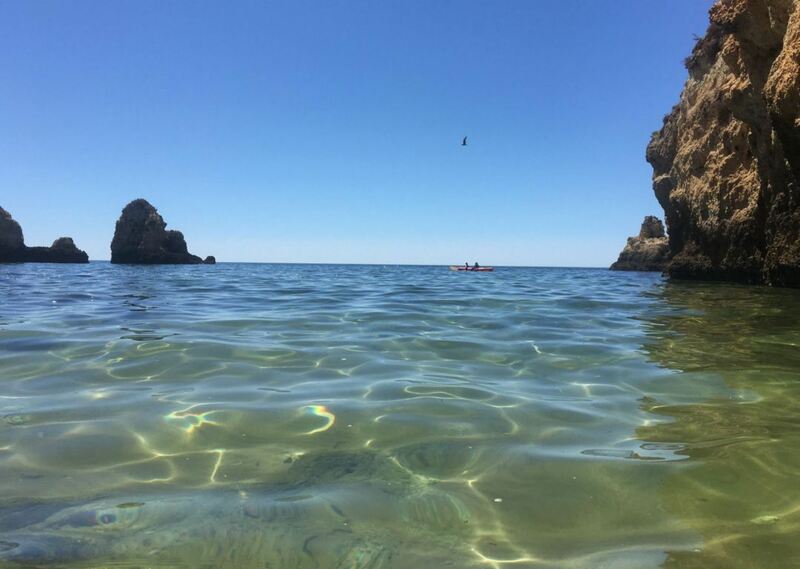 For example, you can explore the coastline of the Algarve by boat. Or you could visit Zoomarine and enjoy the entertainment. There are many excursions that you could take. Below you can see our favourite excursions in the area. Praia dos Três Irmãos is a blue flag beach and has the most important facilities you need. There are lifeguards overlooking the beach. You can rent sunbeds (only in the first cove). The price of an umbrella with two chairs is about 13 euros for a full day. There are toilets available, for example underneath the Caniço restaurant. The beach is also accessible by wheelchair. Furthermore, you can enjoy a variety of water sports on the beach, including windsurfing, kitesurfing, jet skiing, stand-up paddle boards and diving.